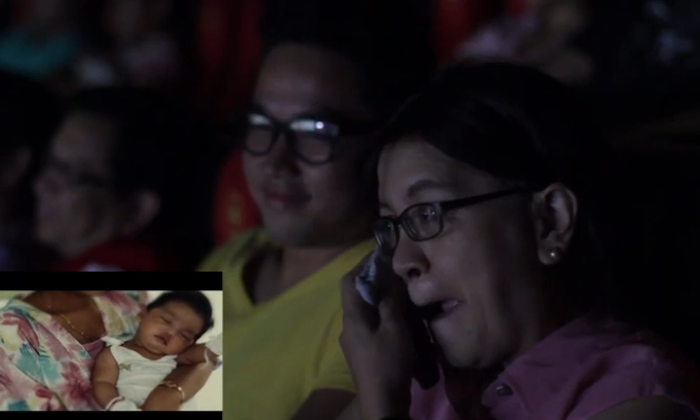 Unilab’s vitamin brand Ceelin paid tribute to moms on Mother’s day with a tear-jerking stunt on the silver screen led by Havas Media Ortega (HVMO). The agency gave five people a chance to thank their moms via a special video where they shared the countless ways their mothers have cared for them and how they are grateful for the love. The five participants then invited their moms to a movie date a day before mother’s day. As they settled down during the movie trailers, the special video was shown on the big screen while hidden cameras and microphones captured the candid reactions of the moms. “You made my day – not only my day, but also my weeks, my months and my years, “said one mom tearfully while huddling a bouquet of flowers. “I thought it was just another day in the movies,” said another equally surprised and happy mother. HVMO said that being genuine was key. “This is one stunt where all the audience shed a tear,” the agency added. Ceelin’s compilation of the stunt, called Ceelin Mother’s Day Video, also drove people to tears on YouTube. The video garnered 3000 hits within the first 24 hours. As of writing, it now has 93, 201 hits since it appeared last 11 May. Asked if it will be aired on national TV, Kaye Enriquez, group director at HVMO, said there are no plans yet to use the stunt as a TVC for Ceelin. Ceelin’s latest campaign was in line with the brand’s proposition of “Pamana” (“Inheritance” / “What I got from my mom”), which aimed to showcase the different values that people got from the contributions and sacrifices of their mothers that made them who they are. In terms of total revenue mix, mobile continued to be the major contributor at 50%. .. The joint venture will integrate virtual banking into the service offerings for PCCW’s, HKT’s and Ctrip’s customer bases, providin..
Industry players are defending Facebook's effectiveness for marketing, in response to Forrester's blistering criticisms of the net..